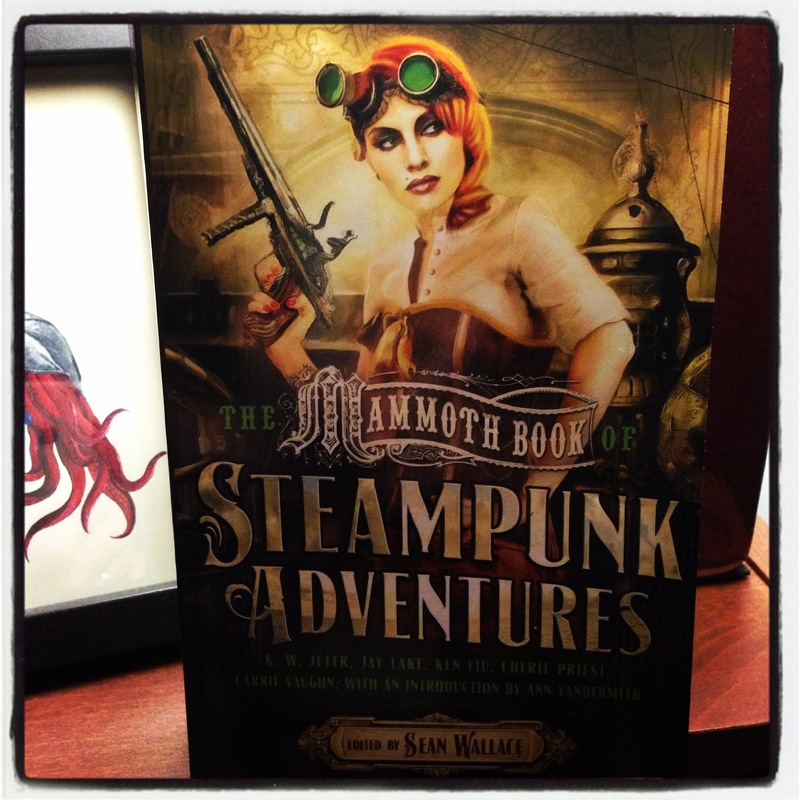 After a generally crappy day, it was so wonderful coming home to find I’d received my contributor copies to The Mammoth Book of Steampunk Adventures, edited by the ever-marvellous Sean Wallace. My Clarkesworld story, ‘On the Lot and In the Air,’ rubs elbows with some brilliant pieces by the likes of K.W. Jeter, Cherie Priest, Jay Lake, E. Catherine Tobler, Ken Liu, Alex Dally McFarlane, and C.S.E. Cooney — to name but a few! So delighted to have been included in this anthology — and a mighty purdy looking book it is, too! Tags: alex dally mcfarlane, c.s.e. cooney, cherie priest, clarkesworld, e. catherine tobler, jay lake, k.w. jeter, ken liu, mammoth book of steampunk adventures, sean wallace. Bookmark the permalink.